Again not too much commentary. 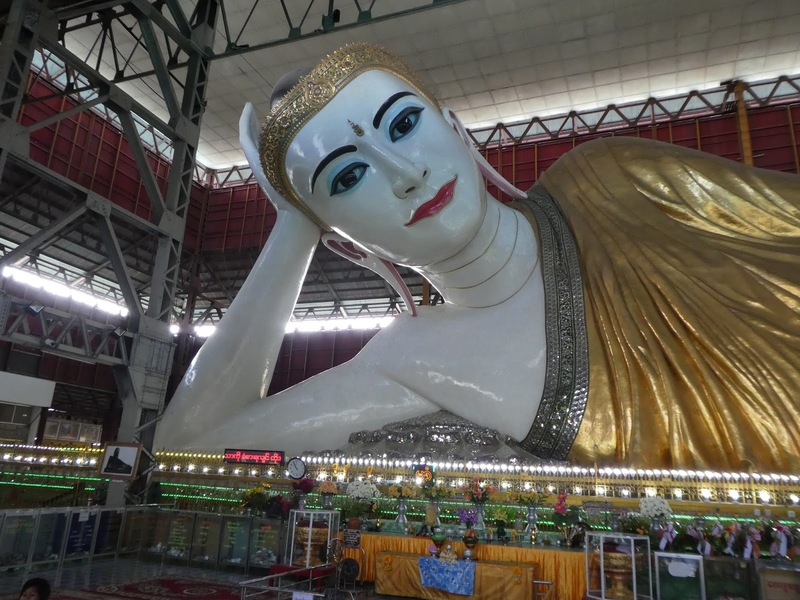 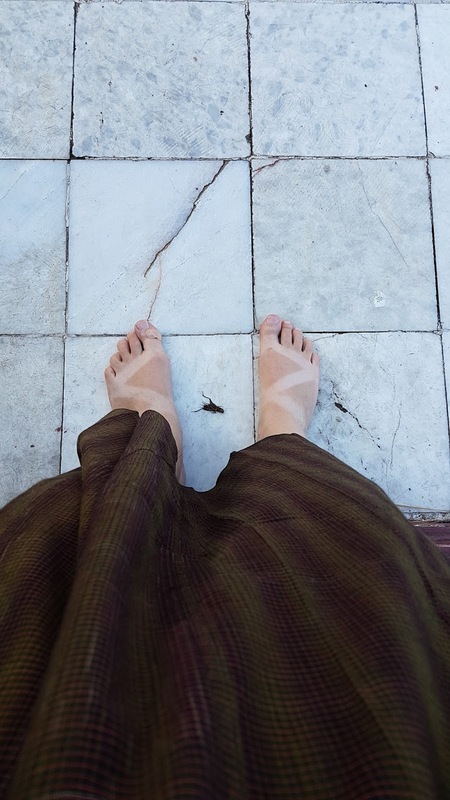 Barefoot and wearing a longyi to cover my legs while visiting a pagoda, a grasshopper between my feet. 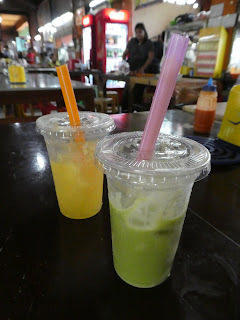 Avocado juice for me and pomelo for Linda. 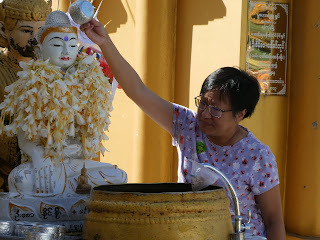 Linda pouring water over the Buddha for her day. 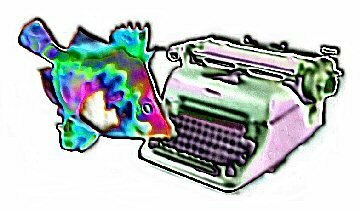 She's a Friday girl making her a guinea pig. 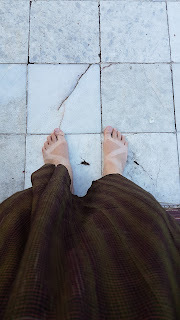 I of course am a tiger. 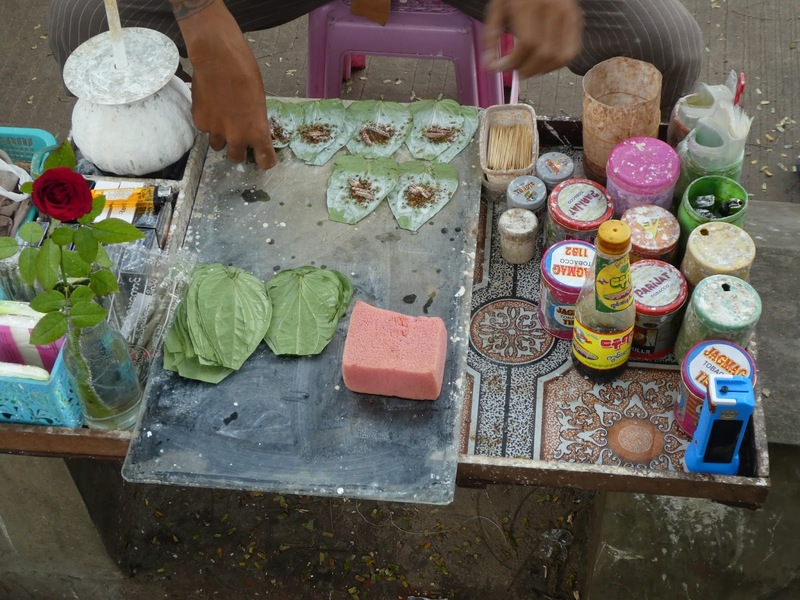 Street vendor making betel chews.